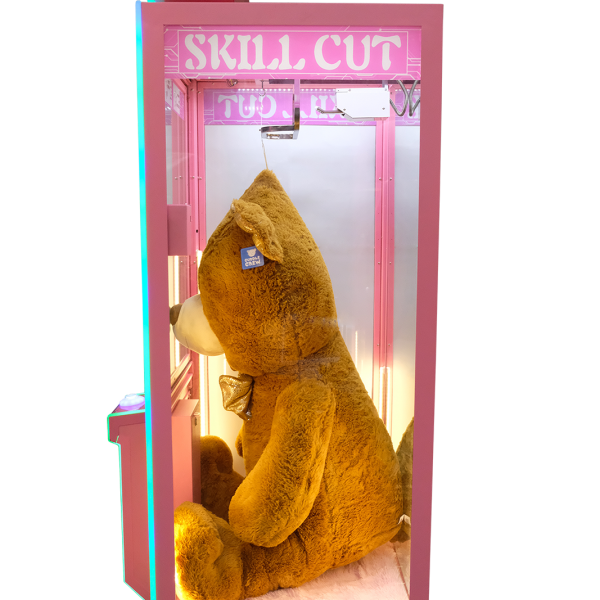 Skill Cut, where the player must cut the string to win the big prize. 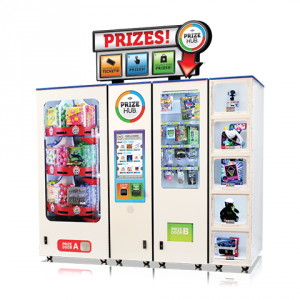 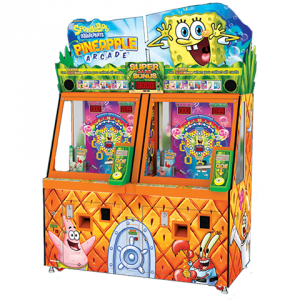 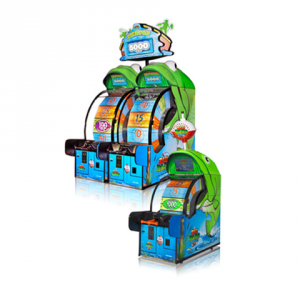 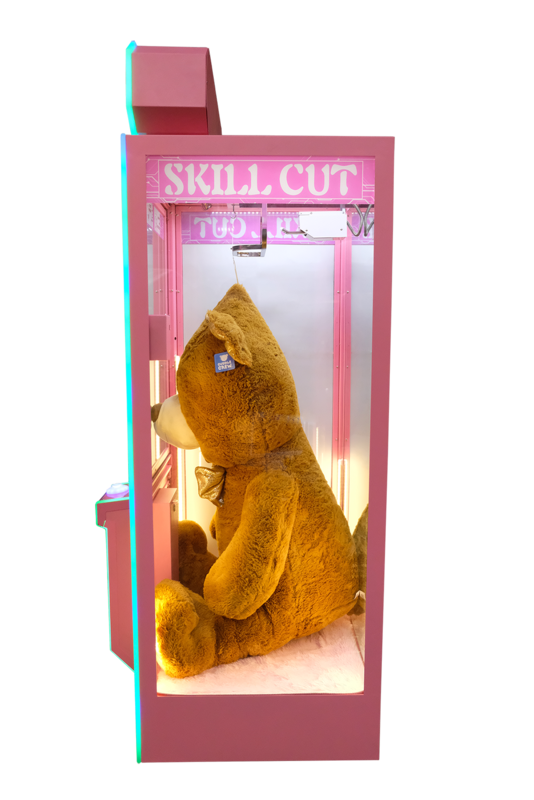 An exciting new skill prize vend machine whereby players only need to cut a small thin piece of string to win the big prize which can fill the whole machine! 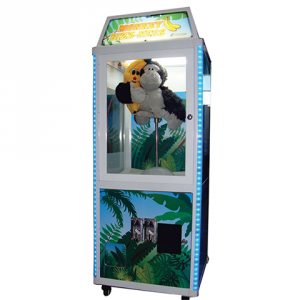 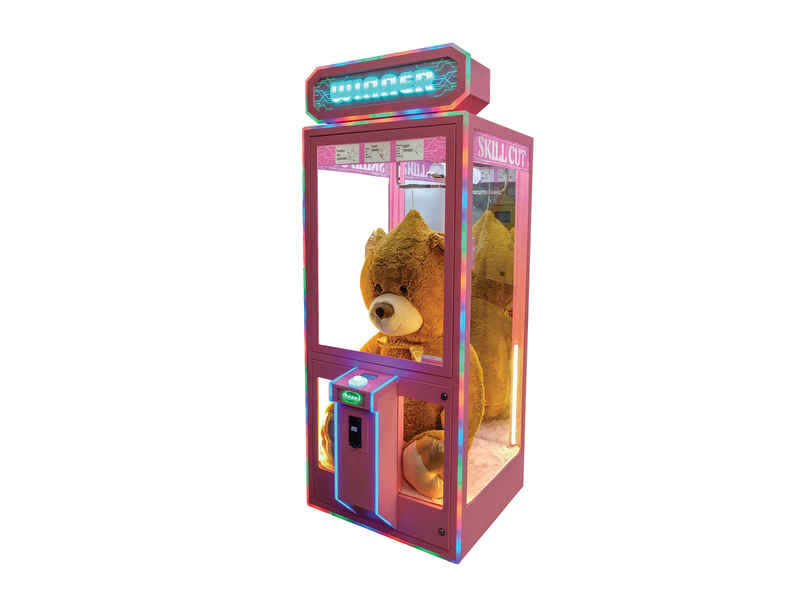 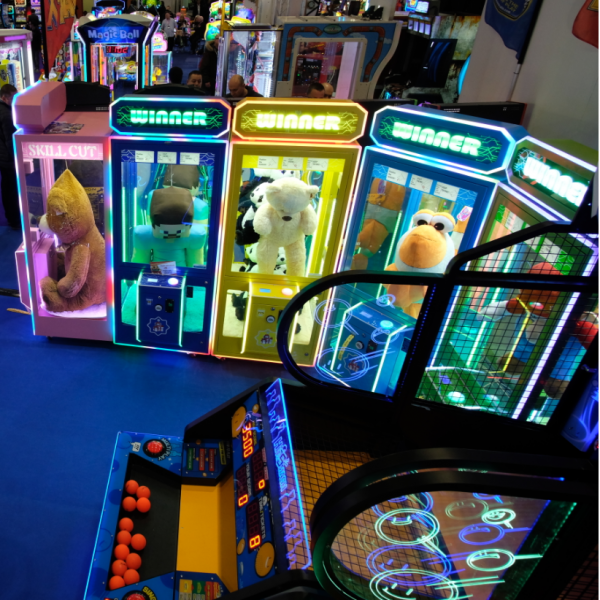 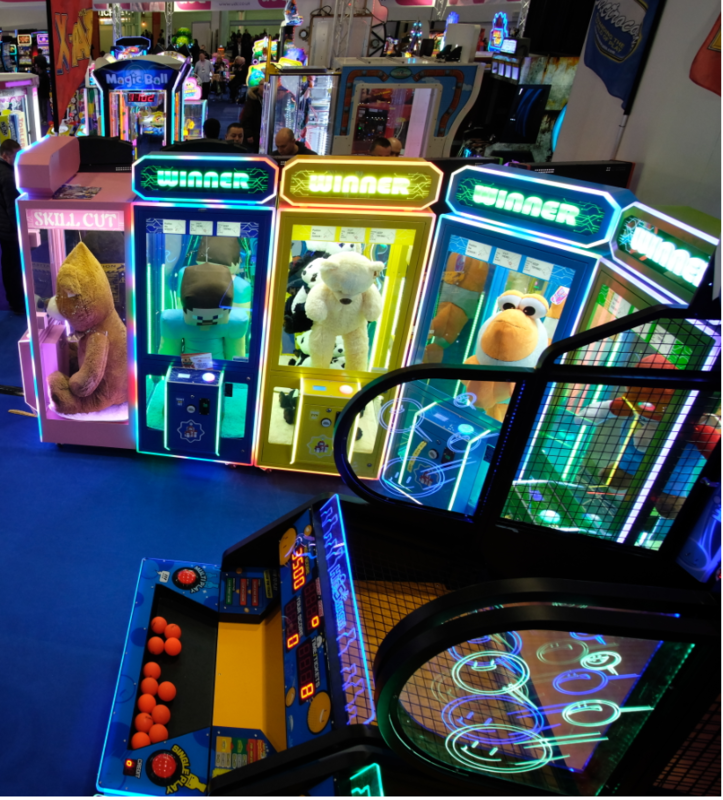 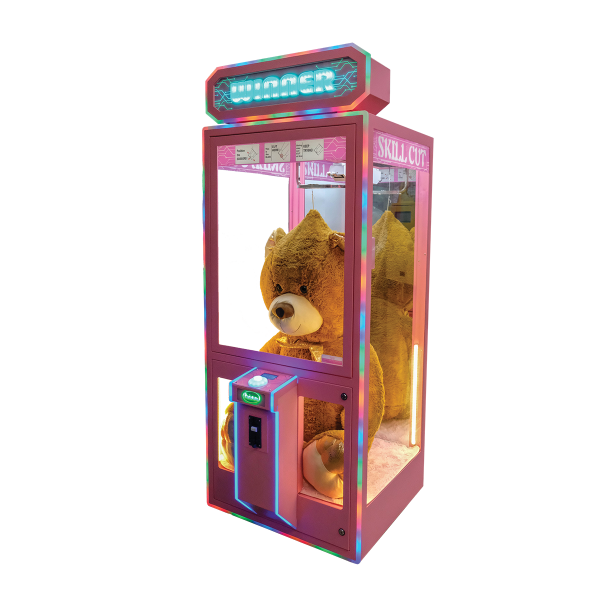 The prize is hung on a string inside the machine and players must press and hold a button, guiding the ‘cutter’s and only letting go once the string is between the metal cutters. 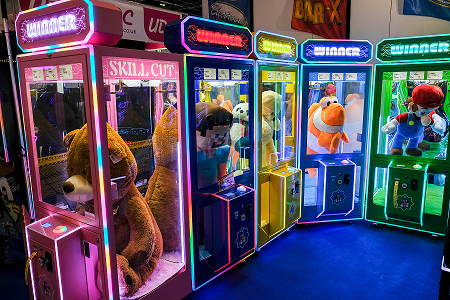 If they successfully cut the string, they win the big prize!